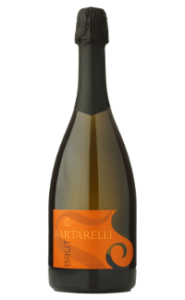 This sparkling wine entirely made from strictly selected Verdicchio grapes is produced by using the long Charmat method (5-6 months of refinement). Thanks to a prolonged period of refinement on the lees at the end of the fermentation process, its organoleptic characteristics are particularly noteworthy. 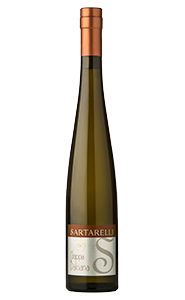 Sartarelli Brut is available in bottles of 750 ml and also in magnum bottles of 1,5 liter which come with an elegant gift box. 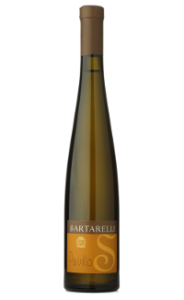 Some tips on how to combine Sartarelli Brut with food, but please never forget to follow your own tastes and preferences! 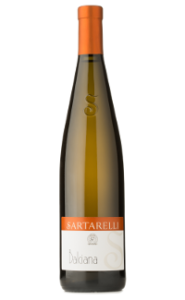 A wine for appetizers and convivial dinners, it is perfect with fish starters as well as with salami appetizers and pizza al formaggio (special cheese pizza typical of le Marche), fresh mozzarella or mozzarella “in carrozza” (fried mozzarella), scrambled eggs with spring herbs. Very good companion for the holidays, anniversaries, special occasions or for just chatting with friends. It is an ideal wine for party cheer! 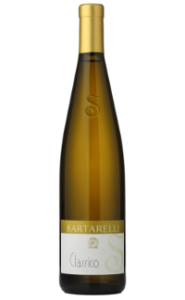 It is of a brilliant straw yellow color and has a bouquet of apple, fruit, lemon verbena, almond aromas and hints of yeasts. 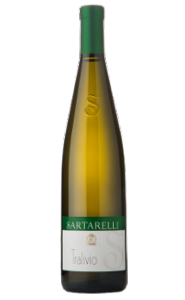 It has a fresh but not intrusive acidity, citrus fruit flavors, with a nice, fine persistent perlage. For further information you can send us a message directly from the Contact page.